When Honda released the latest incarnation of the Honda Rebel it was clear they wanted the custom scene to jump on board, with a marketing campaign to “make it your own”. 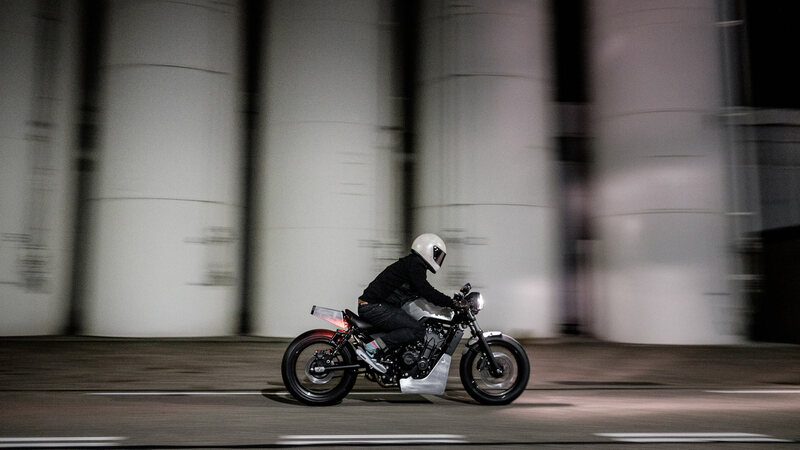 But despite a cult following in parts of Asia and some notable exceptions, few have gone all in on the Rebel. But there is nothing like competition to whet the appetite and the added motivation of raising money for charity brought together a formidable crew. 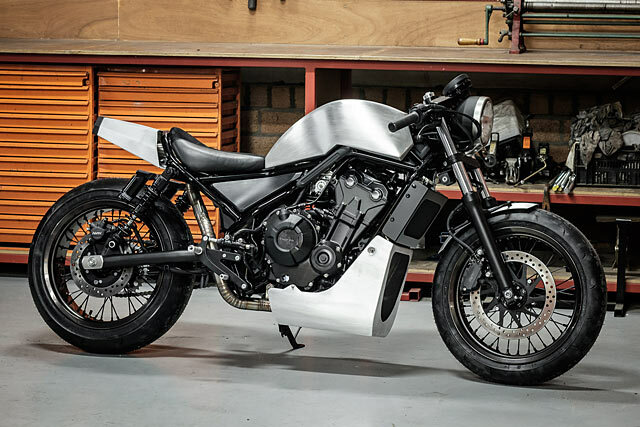 Headed by Timmer Motorcycles from Rotterdam they assembled the Dutch Dream Team of bike builders and on a mission for good, its fitting they call their Rebel the ‘Dream Chaser’. 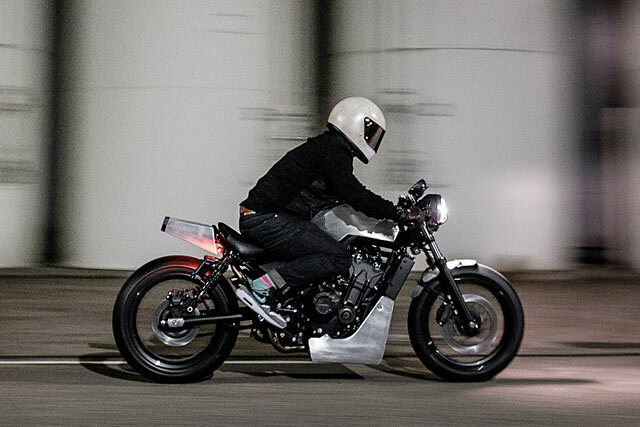 When Maarten Timmer heard about a competition being organised by Honda Moto Benelux and Big Twin Magazine he decided to assemble a dream team! 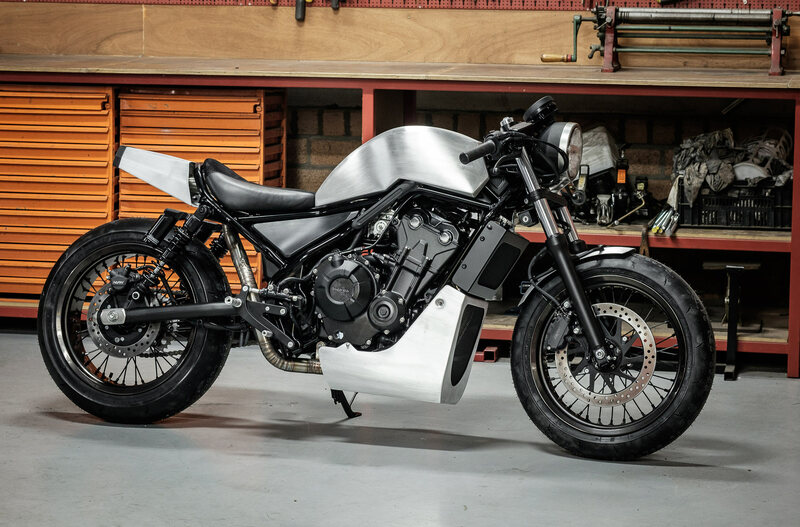 Along with his own outfit he’s joined by old friends Arjan at Ironwood Motorcycles and The Custom Factory’s Marcel, “In this project it was time to team up and to chase a dream together, transforming a low powered Honda Rebel into a “sprint bike” inspired custom. Ideal to follow the roads and ride along: the Dream Chaser,” he smiles. 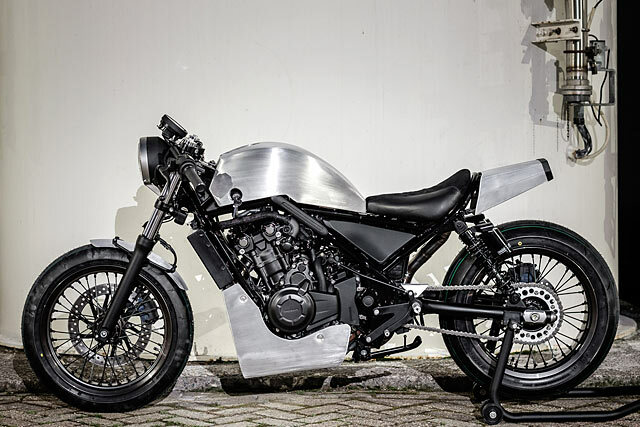 Best of all the donor CMX Rebel would be supplied by Honda and displayed at the Big Twin Bike Show with the winners of the competition getting to keep their bike and the second place machine being used to raise funds for charity. 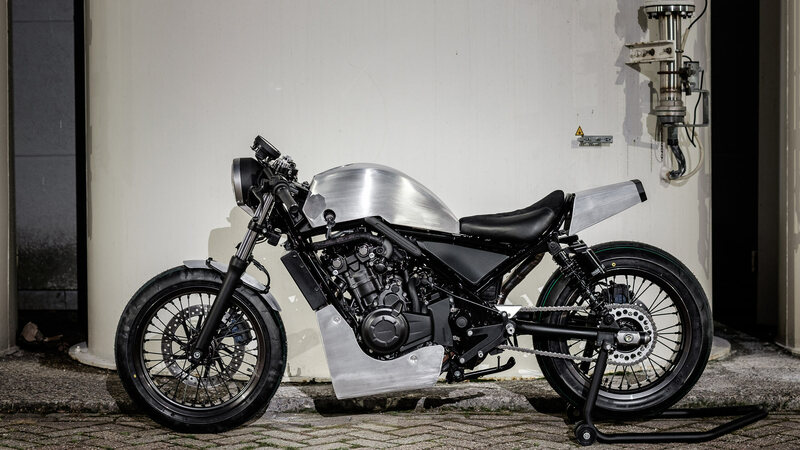 “The brand new Honda was stripped completely at the workshop of The Custom Factory. 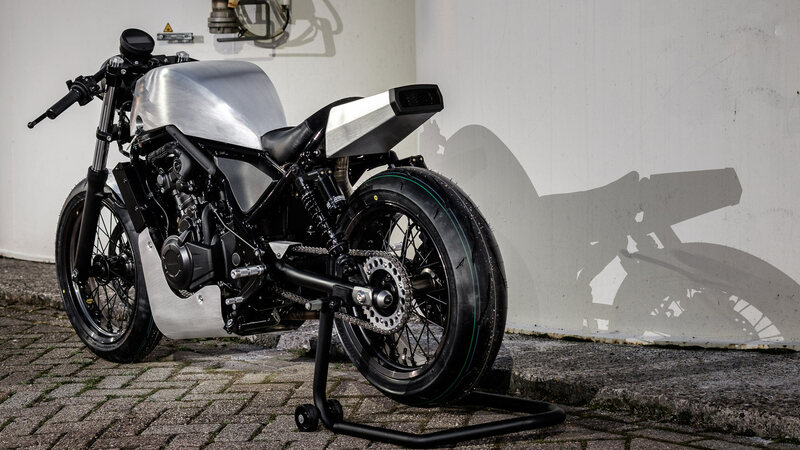 Where its engine, frame and front forks were the only remains from the new bike,” explains Maarten. The first step was to get the rolling chassis just right and to create a skeleton from which they would drape the new bodywork. 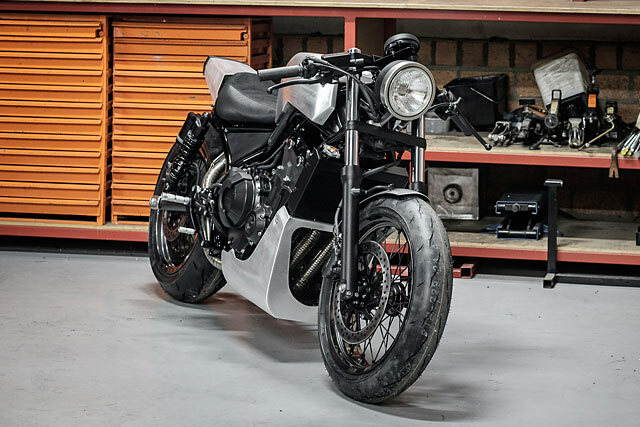 The factory swingarm is not a bad-looking piece of kit for a budget bike but the stock shocks leave a lot to be desired. These were thrown aside for a set of fully adjustable HyperPro shocks that offer the full suite of tunability. The front forks look factory on the outside but have been gutted with all new internals bringing the Rebel closer to the ground. Wanting the bike to have a more classic look the mag wheels would never work and the team called on JSR to make up a set of custom spoked items for the front and rear. 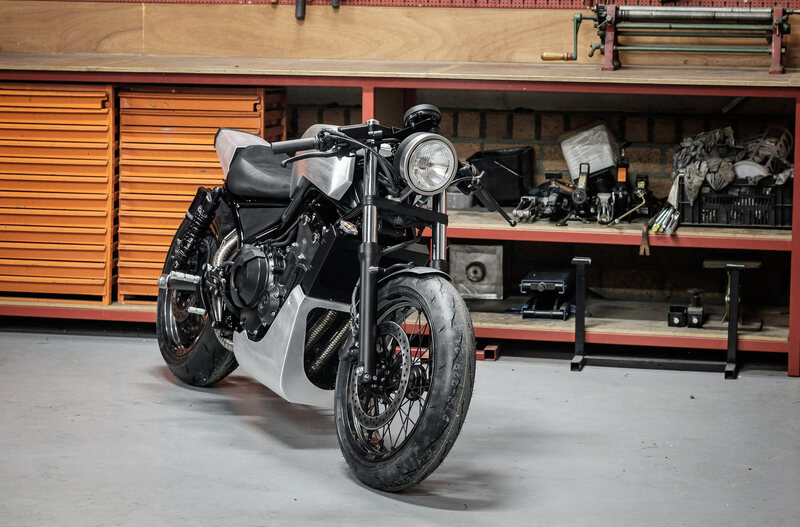 The factory ABS braking is retained and the roller is finished out with a pair of Bridgestone Battlax R11 tyres, just the ticket for a machine Maarten wanted to have sprint bike styling. Now he had the bones it was time to draw up the design and this is the area in which he excels. A veteran of hand drawn design, clay sculpting and 3D CAD modelling it wasn’t long before he had it all nutted out. With the design in one hand and a foam model of the tank in the other Maarten headed over to The Custom Factory where Marcel would work his magic. He’s handcrafted all the body work from aluminium with the tank his first challenge. All agreed it should be a stretched and flatter version of the original to visually lower the lines of the bike. But if the task of hand forming a tank wasn’t hard enough, Marcel set himself the goal of retaining the factory ignition that protrudes through an opening in the side of the tank and a sunken filler cap for a race bike feel. 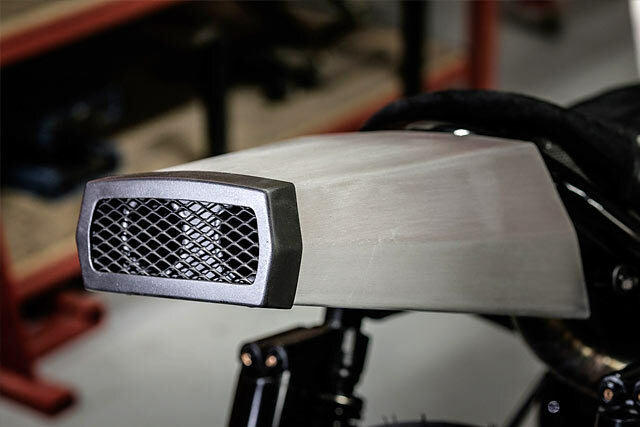 To balance things out the bottom half of the bike wears a full belly pan that wraps neatly under the front of the bike with a large mesh vent to keep the engine cool. A matching radiator cover was also built from scratch, but along with a bunch of other parts is powder coated black for contrast by good friend of all, Bart at Custom Coatings Helvoirt. 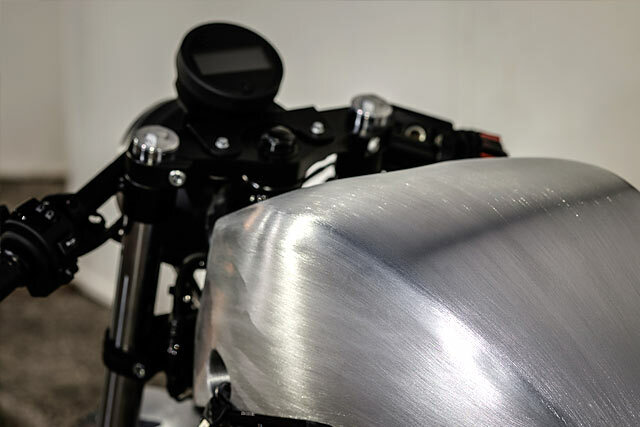 While the rest of the team worked on making brackets for all the new parts Marcel completed the hand rolled front fender. But before he could commence on the tail piece from where the exhaust would exit the system had to be fabricated. The 471cc twin cylinder dumps its gases out a set of beautiful stainless headers with the merge pipe hidden in the belly pan. 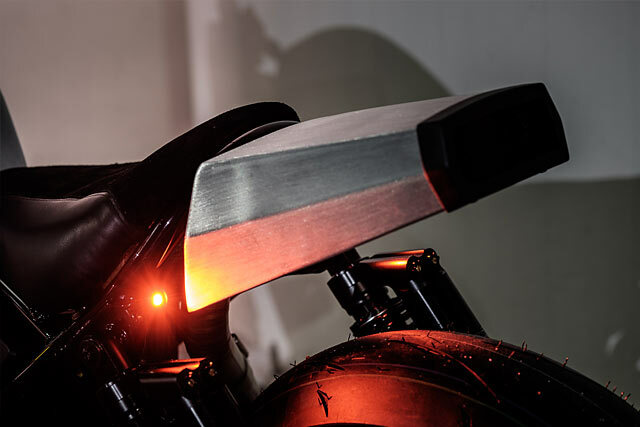 From here the flawless bends and welds work their way rearward before coming out under the subframe to spit flames through dual pipes hidden in the tail, with a blacked out trim piece matching the rest of the visuals. 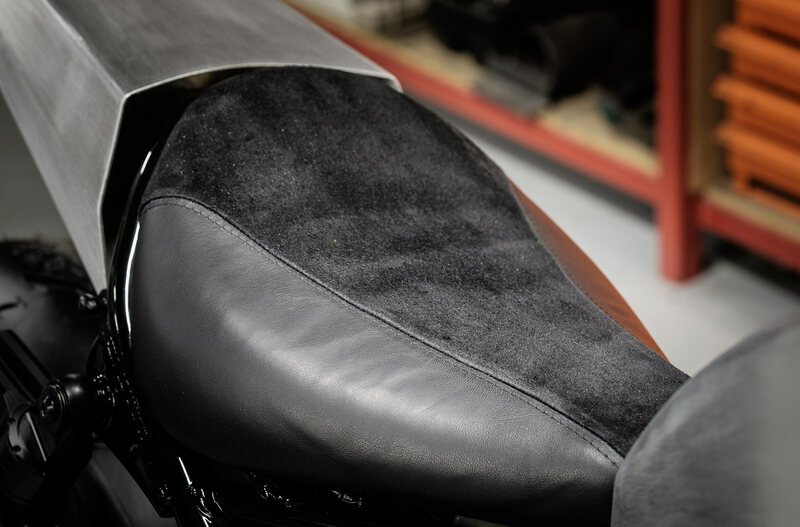 “To ride along on this sporty Rebel the seat has been reshaped with new foam and covered with black leather by the Leather Factory,” Maarten tells us. 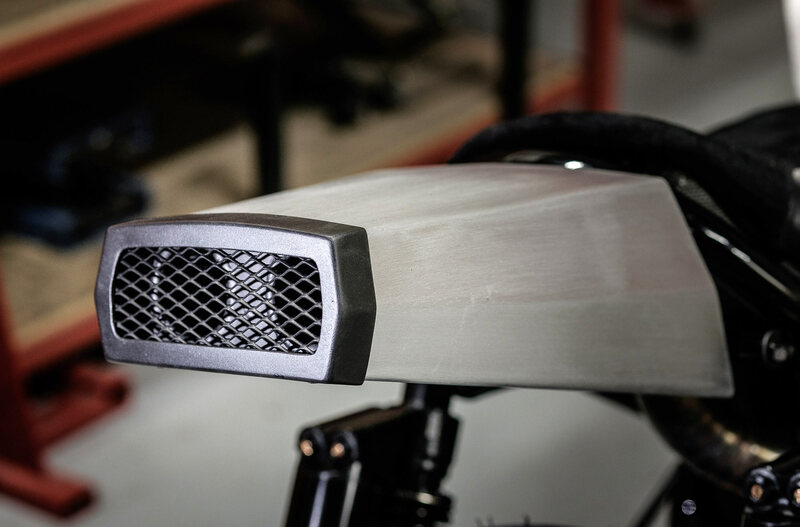 The original handlebars are replaced by a set of custom-made clip-ons, with the bolts cleverly placed on the inside to keep them out of sight. While a matching pair of rearsets was made and a new bracket for the factory speedo completes the slick build. 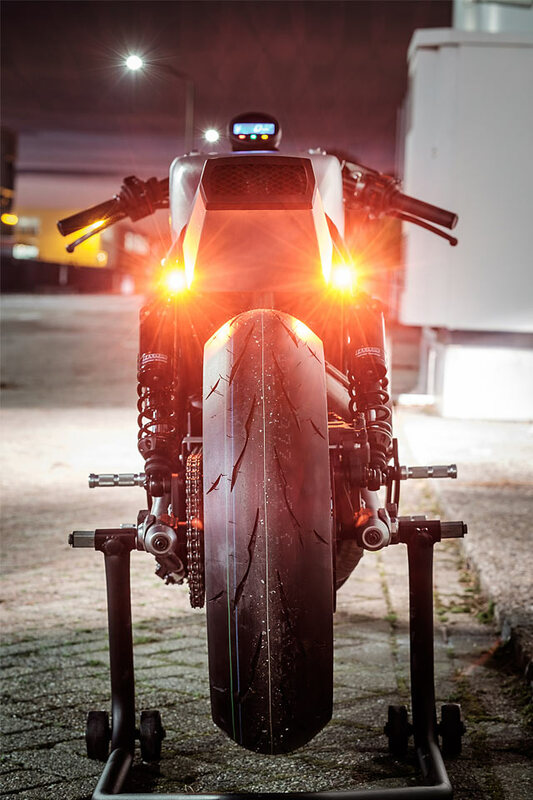 The Dutch Dream Team has plenty to be proud of having turned out a stunning hand-built custom in record time. But their last announcement also shows what a class act the proprietors of Timmer, Ironwood and The Custom Factory are. 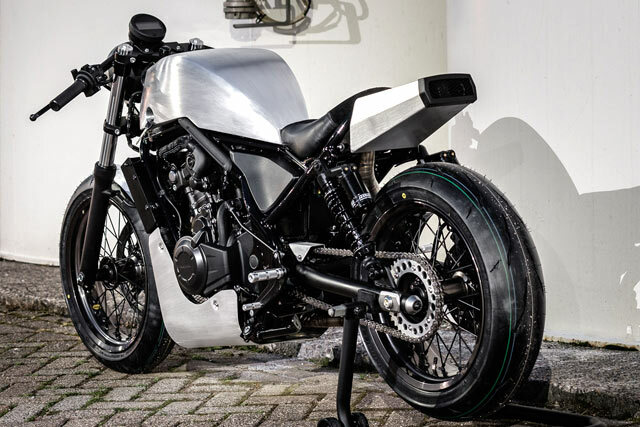 Win, lose or draw their bike will also be sold off for charity and ensures this Dream Chaser will be making the wishes of some very deserving people come true.